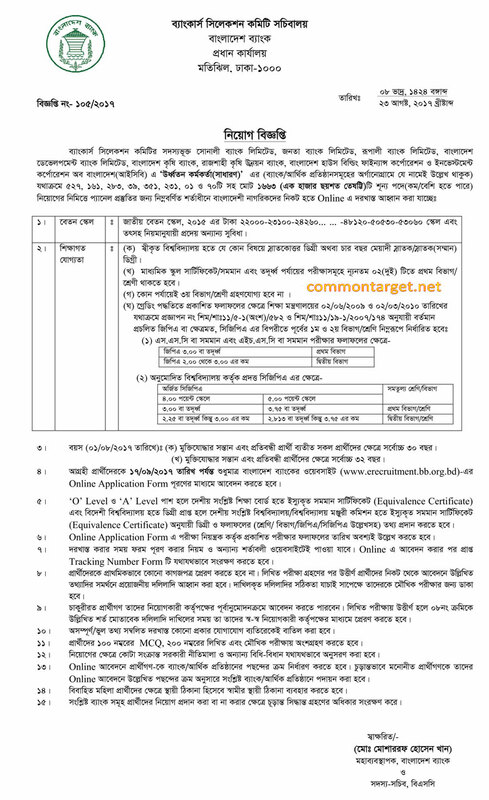 Government Bank Job Circular 2017 total 1663 posts. 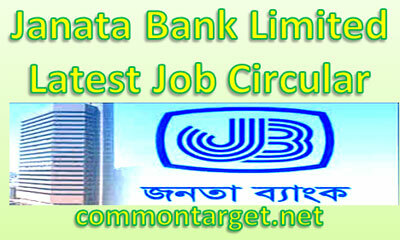 Janata Bank Limited Latest Job Circular 2017 found here. Janata Bank will recruit 161 vacancies for the post of Senior for the year 2017. Interested candidates must have four years honours/master’s degree from any government authorized university with at least Two first class or equivalent CGPA with no 3rd Division/Class in any of the examinations. Janata Bank Limited reserves the right to accept or reject any application or appointment of the candidates without assigning any reason whatsoever.